When examining the sustainability of a company, we have to consider the triple bottom line: the Environmental, Social, and Economic aspects of their business. This blog is the last of a 3-part series discussing the sustainability of different brands we sell here at RRT. We’ve already covered the environmental and social sustainability initiatives of these companies, so now it’s time to delve into the exciting world of economic sustainability! For the purpose of this blog, we will define economic sustainability as saving money and how the methods of saving affect the other two aspects of sustainability. These savings can happen several ways. The easiest way a manufacturing company can work towards economic sustainability is by reducing the amount of money they spend on labor. Usually this occurs by outsourcing to foreign countries, which can have a strong negative impact on their social sustainability. The other major way they can reduce costs is by reducing the resources used for their offices, whether it be water, electric, or other materials; this plays into environmental sustainability as well. Outsourcing labor to foreign countries is not at all uncommon these days. 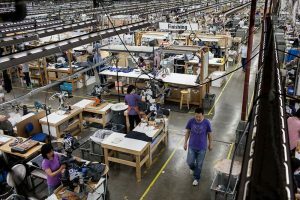 Labor is cheaper in other countries, so why wouldn’t companies take the least expensive route when it comes to manufacturing their products? There are fairly strict policies already in place to ensure the workers in these countries are treated humanely and earn decent benefits and wages, but several brands we carry take it a step further. 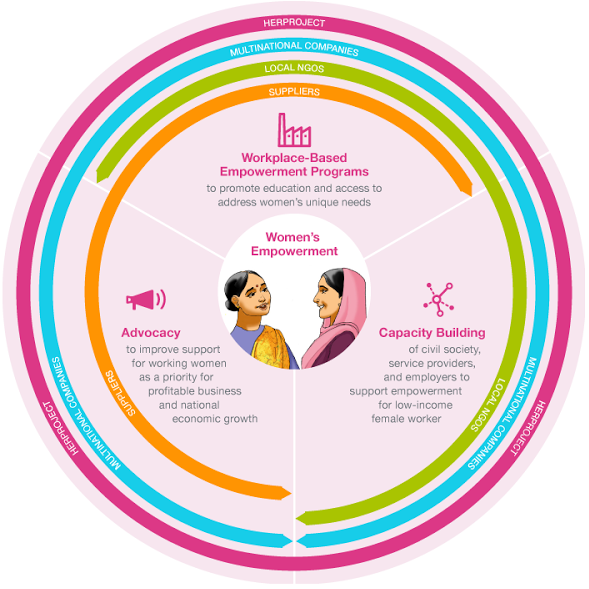 For example, Mountain Hardwear, and its parent company Columbia, participate in HERproject, which is a workplace program that provides women’s health education to the ladies working in their factories in Vietnam and China. Additionally, they also partner with Better Work, which is a group that partners with the International Finance Corporation and the International Labor Organization. This cooperative works constantly to increase compliance with labor laws and improve working conditions overall. Another company that goes a step beyond the basic labor laws is Black Diamond. They are a founding member of the Outdoor Industry Association’s Fair Labor Working Group, which works to increase education of best practices. They also drafted OIA’s first Fair Labor toolkit and utilize information gathered from audits to create Corrective Action Plans to improve this toolkit. Unannounced audits performed by third party companies are standard across the board for all of the brands we carry. Arc’Teryx goes above and beyo nd traditional fair labor standards. They went as far as to create their own guidelines and policies to ensure their products are manufactured responsibly. 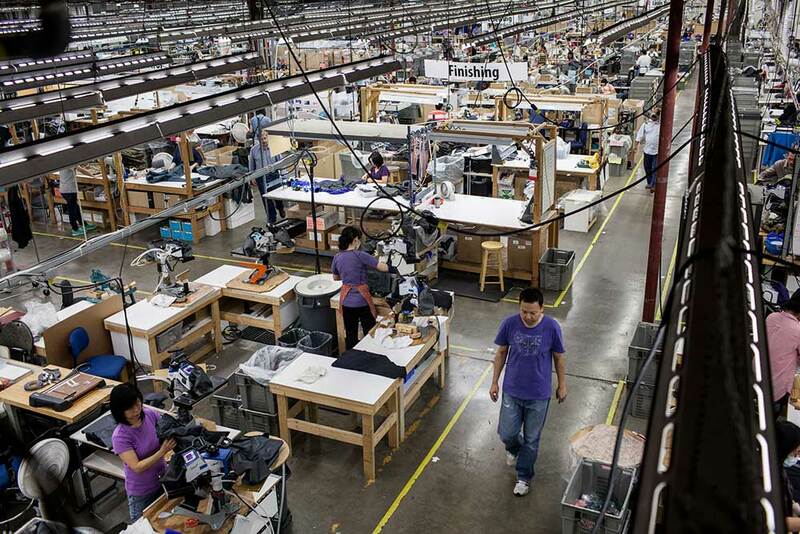 Prior to entering into a contract with a facility, Arc’Teryx conducts a comprehensive audit of the existing factory, taking note of workplace conditions and current compliance to existing labor laws. Once any minor issues are fixed and the facility passes a secondary audit, a contract is made up and terms are agreed upon by both parties. These facilities are unique in that their employees are trained to use specialized techniques and equipment and earn high wages because of their unique skill sets. After the decision-making and contract-building processes are finalized, third-party audits are conducted monthly to ensure their standards are being upheld. In some cases, staff members are permanently assigned to monitor daily operations. While they stay up-to-date with labor compliance initiatives such as Fair Wear, they prefer to focus on the continual development of their own audit processes instead of partnering with external initiatives. Another way companies can save money is reducing their resource use, increasing their environmental sustainability at the same time! Black Diamond and Thule definitely have the most initiatives of this sort. BD implemented a closed-loop anodization system, a super efficient way to reuse and recycle wastewater from their tumble and polish processes, in their Asian facilities. Similarly, Thule has a closed-loop system for wastewater in most of their manufacturing facilities and offices. Both of these compani es do an excellent job of recycling waste from production as well. Excess water from the oil/water mixtures BD uses in production is boiled off and the oil is sent off to be recycled. They also recycle all of their leftover scrap metal and cardboard at their facilities in Utah and China. By the end of 2016, Thule aims to recycle 95% of their total waste. These companies are also similar in that they ship by sea and rail instead of plane and road whenever possible, significantly reducing their carbon footprint by doing so! Reducing resource use in offices is another way companies can save lots of money. 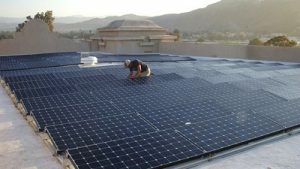 Several companies’ offices are fitted with energy-saving technologies such as the green roof on Black Diamond’s Rhenus warehouse and skylights at Patagonia’s Reno service center. 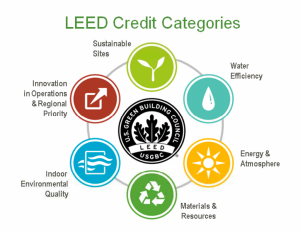 Several offices and warehouses are LEED certified as well. 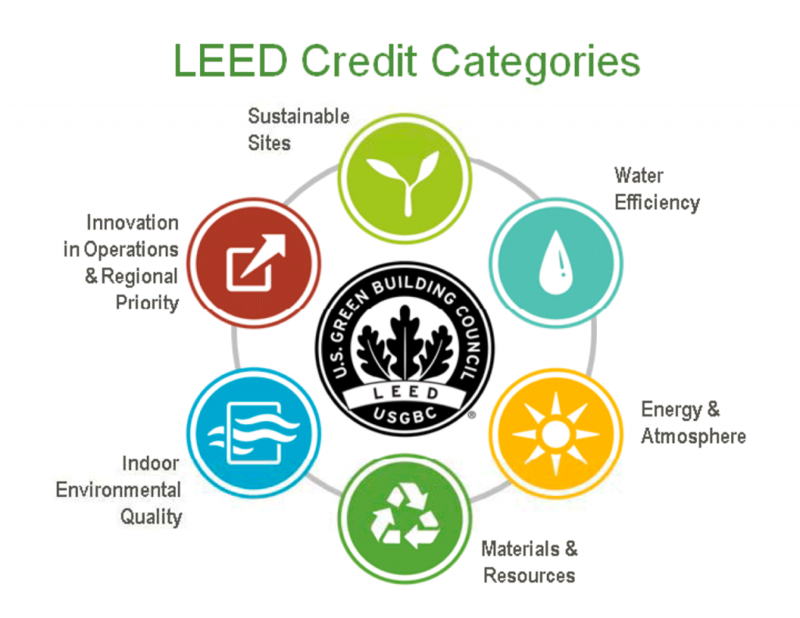 LEED certification for buildings is measured on a point scale; different structural and technological implementations count for different amounts of points, which add up to certify the building as silver, gold, or platinum. Some examples of the types of technologies that are utilized to get this certification are low-flow toilet s, storm water collection systems, and automatic lights that are only on if someone is in the room. Many of the offices and warehouses of the brands we carry implement many of these technologies, and more! One interesting way Osprey saved money was in the heating and cooling of their headquarters in Cortez, CO. They planted native deciduous trees on the south side of the building to provide cooling shade in the summer and allow the sun t0 warm it in the winter. Patagonia utilizes unique landscaping at their Reno and Venture offices to divert rain water away from paved surfaces and into rain gardens and bioswales, where the water can return naturally to the water table. Saving on costs is almost always at the top of a business’s priorities. And why wouldn’t it be? They’re trying to make money, after all! But there are right and wrong ways to do it. In my research for this blog, I found so many different money-saving methods that the brands we carry implement, and was happy to find that they are all super sustainable! These companies are saving a lot of money by reducing and reusing resources. And while many of them do most of their manufacturing oversees, they take so much care to make sure these employees are treated fairly, and many go above and beyond to provide them with beneficial programs as well! This concludes the Triple Bottom Line blog series (you can read Part 1 here and Part 2 here). We’ve discussed how sustainable outdoor recreation companies really are on all three levels: environmentally, socially, and economically. You are now armed with knowledge for making mindful decisions when investing in these companies and can rest easy in knowing they are trying to protect our beautiful planet, just like you and I!